One of the most cost-effective and lucrative ways to sell goods and services these days is on the Internet. Without rent, overhead, newspaper advertising, salaries, or having to be at a location all day, you can sell more of your product than if you had a physical store. 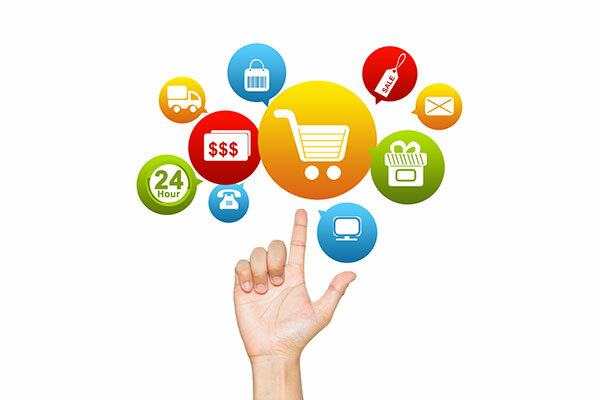 There are three key points to consider when setting up and running an online store. If you are indeed selling a product on the internet, this article should help you solidify your ideas and give you a practical direction. When Borders wants to feature a book, they place it so that you practically trip over it when you enter the store. A kiosk, a table, or a huge standing poster stands at the entrance, and the purchase is as easy as carrying the product to the register. The words “#1 Bestseller”, or “The New Series from the Master of Horror”, or “30% Off” are featured prominently around the book, and there is a certain “gleaming” feel about the presentation. Notice that the rack is never full or empty. Full would mean that nobody is buying. Empty would mean that you cannot buy a copy. Conceptually, you can do the same thing on your website. If the goal of your site is to sell your product, then sell your product. Place a buy link on the home page. Give it an eye-catching graphic. Place marketing copy around it that will give the user some urgency to buy it. And make the ordering a 1-click process, taking the user right to your payment processor (see below). Often, a great way to sell something is to give users a limited time offer. This offer can be a “10% discount before March 1st” or a bonus offer for purchasing online. One web client of mine, a TV personality, sends CD buyers a signed 8×10 photograph. This is something they would not receive if they bought his CD from Amazon. If only 25% of users know that you are selling something exciting, 75% of them are missing out on the opportunity. There are so many sites out there that do not feature their products prominently, and one might wonder how they make money. Yes, I am interested in their information, or I would not have visited the site…but sometimes I would never have known they had a product, had I not ended up on this one sub-page! Also, put a link to buy your product on every page. You are investing good money on a website, whose goal is to sell your product. Every page where your product does not sell itself reduces your ROI (Return on Investment). Use product pictures. Catch the user’s eye. In fact, some of my clients sell software, available via download. Just because the software is not available via CD or DVD does not mean you cannot have your designer create a product box graphic. Make it look elegant, accessible, and user-friendlly, and you are more likely to make a sale…even if that box does not exist in physical form. What if I am selling more than one product? Reserve an area on your home page for a “Featured Product”. This could be something new to your catalog, or it could just be something that will get people to your online store area. Have a Content Management System installed so that you can easily place a feature product on the home page without having to hire your web designer to change it each time you update. You might also want to consider, on your sub-pages, selling the product that is most applicable to that section. For example, if you are selling energy-saving products for the home, feature your solar panel products in your roof section and your insulation products in your window section. Seventh Planet, Inc. has designed hundreds of websites, many of which successfully sell products online. Please visit www.seventhplanet.net for all your website needs. People ask all the time if they should use PayPal, their own Onsite Payment Processor through a company like Authorize.net, or a Third-Party Cart like Google Checkout. The feasibility of PayPal depends on the product itself. If you are selling one product for $19.95 and do not have many customers yet, PayPal is an excellent option. They charge you 2.9% plus $0.30 per transaction, so you would make $19.07 per purchase. PayPal takes care of order processing, and you get an email with all the information you need to send the customer their product. Low setup fee…you do not need a lot of involved site coding to use PayPal, because the company processes everything for you. PayPal advantages: simple to set up and use, inexpensive for a limited range and volume of products, well-known and trusted by users. PayPal disadvantages: can be cumbersome to use on your end, requires active clicking to transfer PayPal funds to your account, can take days to get your money unless you pay additional fees, and users may perceive your company as less elegant for having used this service. Also can be expensive for large volume of product. If you are selling a hundred products, and you plan on thousands of transactions per month, you may want to consider a merchant account that accepts MasterCard, Visa, etc. and a payment processor and SSL (Secure Socket Layer) that will process secure transactions over the internet. Otherwise, you are going to pay PayPal a lot of money. You will also need have a Content Management System set up to track orders, allow users to set up accounts so they can come back to the site, etc. Merchant Account advantages: seamless integration with a Content Management System, great for large product diversity and volume, customer accounts, and an onsite shopping cart. Users tend to see a site-based processing system as more elegant and are usually more willing to make a larger purchase than they would with PayPal. Merchant Account disadvantages: monthly fees for your payment processor, yearly fees for your SSL, per transaction fees from your merchant account. Higher setup fee…you need a lot of involved site coding to track and process orders, auto-email the customer with their order details, etc. Some merchants choose to use Yahoo! Shopping or Google Checkout to run their stores, and this is especially feasible if they are trying to set up the store themselves and do not want to use PayPal. Google incurs the same fees as PayPal (2.9% + $0.30 per transaction). Yahoo charges $39.95/month, a 1.5% transaction fee, and a $50 setup fee. Third-Party Cart advantages: easier to set up than a Merchant Account, relatively low overhead for small volume and price orders, ability to process credit cards directly. Third-Party Card disadvantages: not actually that easy to set up unless you understand computers and the internet well…you will probably spend hours and hours trying to figure it out. Not entirely customizable to match your site design, because the cart resides on the third-party servers. Seventh Planet, Inc. has set up product sales and payment processing for hundreds of satisfied customers. Please visit www.seventhplanet.net for all your website needs. Last article, I went into detail on how to market your site on Google (see “How to Win the Google Game”). In this article, let us address the feasibility of launching a Google Adwords (Pay-Per-Click) campaign to market your product. Depending on the pricing of your item(s) and the competitiveness of the key phrase, it may be worth it for you to set up a Google Adwords campaign. Assuming you have followed my advice in Point #1 above, a user very well may buy your product when they come to your site, but getting them there is half the battle. What is a Pay-Per-Click campaign? If you do a Google search for “used cars los angeles”, you will get something like the screen below. The two circled areas are where the paid advertisements appear for the above key phrase. The websites listed in these two areas have signed up with Google to appear on the search engine when the user types “used cars los angeles” and pay Google each time a user clicks on their advertised link. Link prices depend on the competitiveness of the category. There are 10,500,000 pages for “used cars los angeles), and clearly, by the number of sites listed in the pay-per-click area, it is a competitive key phrase and may cost the company up to $10/click when a user clicks. If you have ever bought a used car, you know that dealers can be excellent businesspeople and negotiators. If they are selling a $6,000 car, it is well worth the $10 to attract an interested customer. If there is only one other company under the key phrase, or a handful, it may cost a company significantly less, like $0.10 or $0.25 per click. Try the key phrase “toy cars los angeles”. Much less competition. If you are selling a less-expensive product, you may be able to find a key phrase niche that will be worth a Pay-Per-Click investment. So here is the key concept: if your product is priced so that many users can click on a pay-per-click link and still show you a good financial return, then by all means, make the investment. These are customers you would not have had otherwise. Free money. In other words, if you are selling a product for $200, and your pricing is only $1.00/click, a Pay-Per-Click campaign may be a terrific idea. On the other hand, if you are selling a product for $1.99, and you have a competitive key phrase at $5.00/click, forget about it. Seventh Planet, Inc. has a world-class marketing team that can help you with any pay-per-click campaign. Please feel free to visit www.seventhplanet.net for all your website needs.